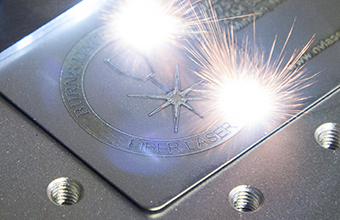 Welcome to the Fiber Laser Division of Burns Machinery located in Minden, Nevada. 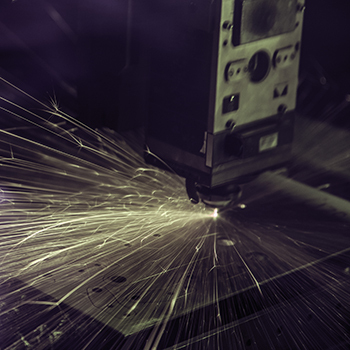 Fiber laser technology offers application-specific performance advantages that can significantly improve quality and throughput. 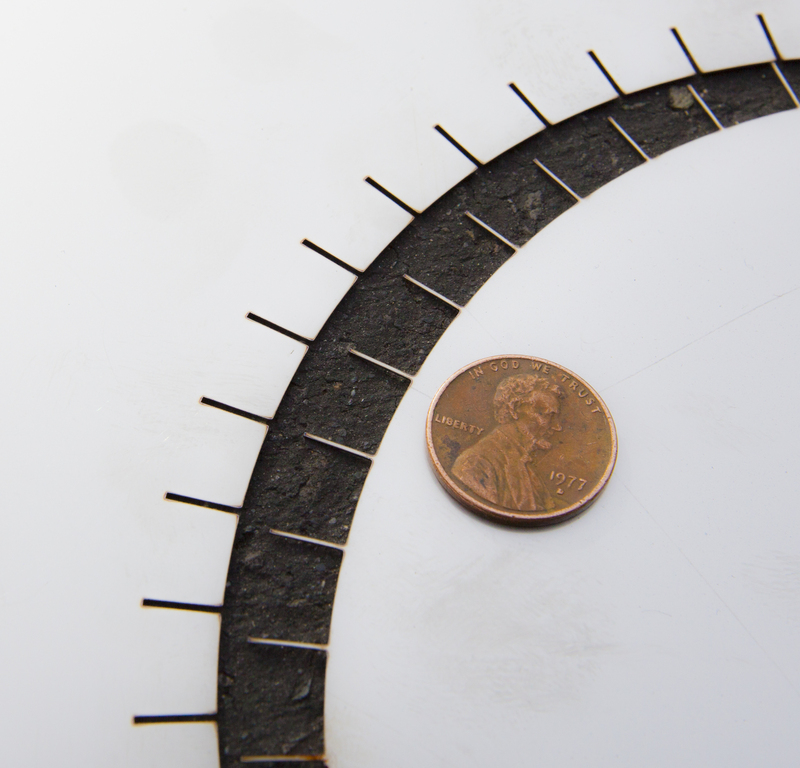 Fiber laser-cutting technology utilizes a wavelength that is dramatically shorter than CO2 units. 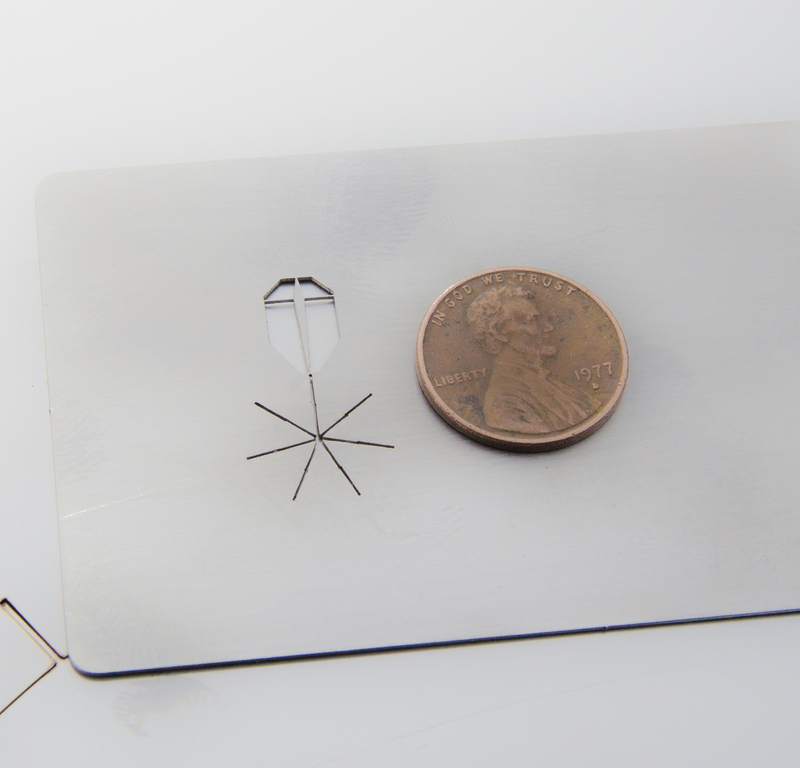 It helps fiber lasers achieve faster cutting speeds in thinner material and improves cut performance for highly reflective materials. Because it has a shorter wavelength, the heat-affected zone is also smaller than traditional gas resonators. 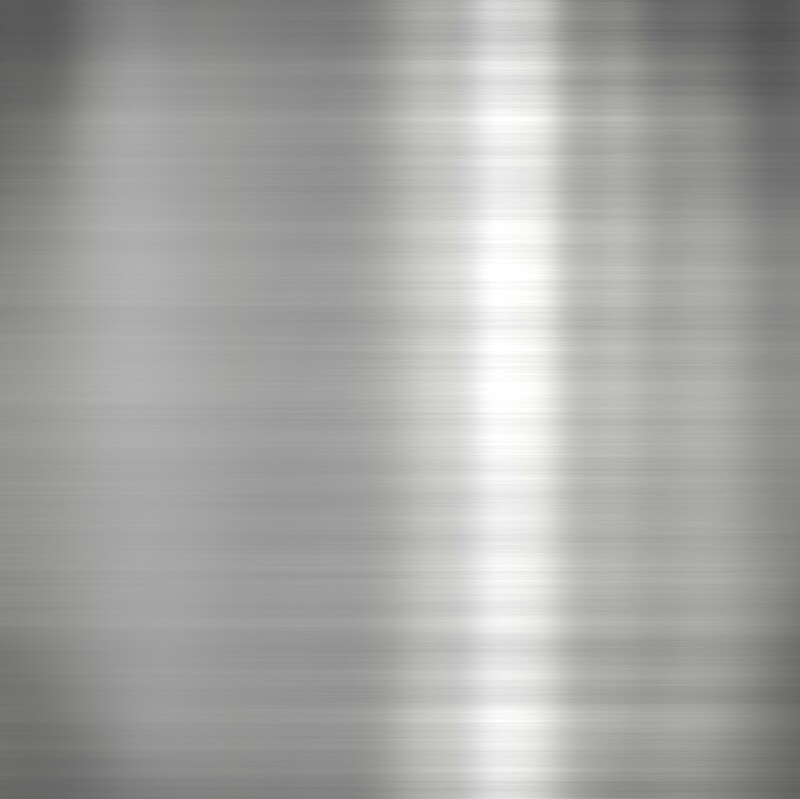 Improved speed when cutting stainless steel, aluminum and mild steel 6mm compared to CO2 lasers. More stable cutting performance for stainless, copper, brass, bronze, aluminum, hastelloy, inconel, titanium and other exotic metals. No need for additional surface cleaning when painting mild steel cut with nitrogen. Utilizing a fiber beam delivery system significantly lowers operating costs for applicable material thicknesses and types. an OPTIPLEX Fiber 4.0kW laser-cutting machine. we can apply to numerous types of exotic metals. Not only do we offer precision laser cutting, we also offer precision laser marking as well. We run two different laser marking systems, a YAG laser and a fiber laser. They are both capable of marking vector and raster graphics on a range of materials at incredible speeds. 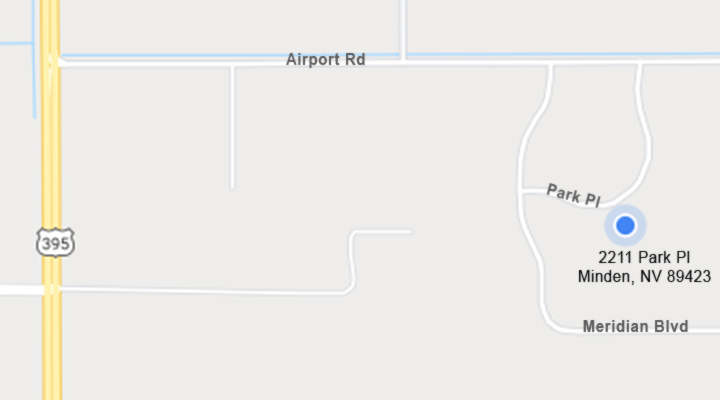 It is important to understand that a raster graphic (made of pixels) will not mark as precise as a vector graphic (made of points and lines) will mark. For more examples of our laser marking head over to the Laser Art page and open the Examples gallery or visit our Facebook page. Burns Machinery also specializes in production CNC machining and sheet metal forming. 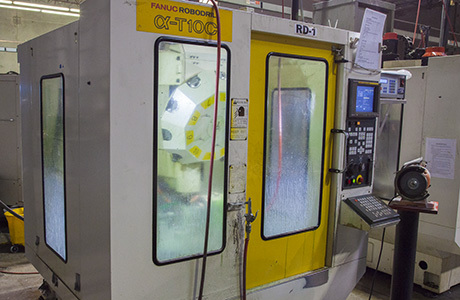 Our shop is equipped with 14 CNC machines, including live tool turning and 4-axis machining centers. 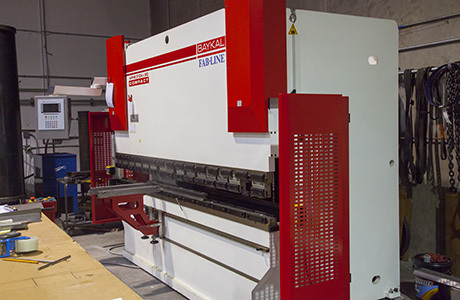 Our new Fab-Line 100-Ton, press brake has 5 axis of CNC control with 120" capacity and sectioned quick-change tooling. We perform sheet-metal design utilizing SolidWorks. Many formed sheet-metal prototypes can proceed from concept to a part-in-hand in 30-minutes. Step One - design in SolidWorks and convert to a flat pattern. Step Two - laser cut with the fastest most precise laser in the world. Step three - form on our precision CNC 100-ton press brake. 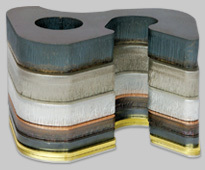 Our goal is to deliver precise parts, quickly, at competitive prices.